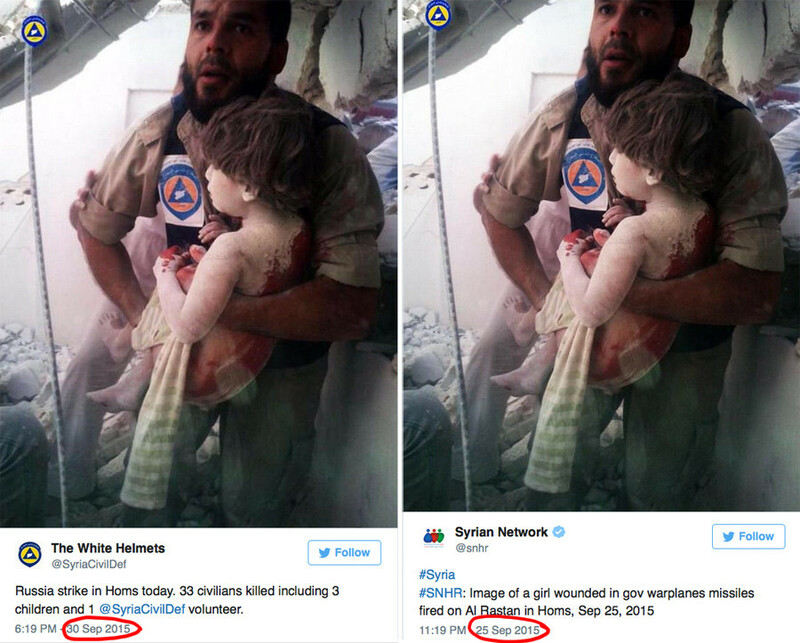 It didn’t take long, after Russia began its anti-terrorist bombing campaign, for social media to be flooded with ‘evidence’ of civilian casualties. The claims were readily repeated by Western mainstream media. The Russian Defense Ministry reported that it conducted 20 sorties on the first day of the Syrian operation and bombed eight targets in Syria, including weapon and fuel depots and command centers of the Islamic State (IS, formerly ISIS/ISIL) group. All targets were far from urban areas, the ministry stressed. The narrative apparently fitted too well into the familiar ‘Russia is the villain’ narrative for Western media to pass it by. Journalists asked Defense Secretary Ash Carter for confirmation. "I want to be careful about confirming information, but it does appear that they were in areas where there probably were not ISIL forces," he told reporters, falling short of confirming the allegations. Russia’s Foreign Minister Sergey Lavrov joked that journalists who want to get accurate information about the Russian campaign should ask the Russian military and not the Pentagon. The Pentagon seems to be irritated with the Russian military presence in Syria. Carter complained that Moscow had informed his department of imminent strikes just one hour ahead of time, branding such short notice unprofessional. There were also reports that Russia had demanded US warplanes be kept out of Syrian airspace. Reports of civilian casualties caused by Russia in Syria mostly originate from the Syrian opposition forces, who blame Russia for helping President Bashar Assad. Some of the photo evidence of the ‘killings by Russia’ was easily disproven. A photo of a Syrian rescue worker carrying an injured girl –resulting from a “Russian strike in Homs” that killed 33 civilians, including three children first appeared on September 25, almost a week before the airstrikes started. 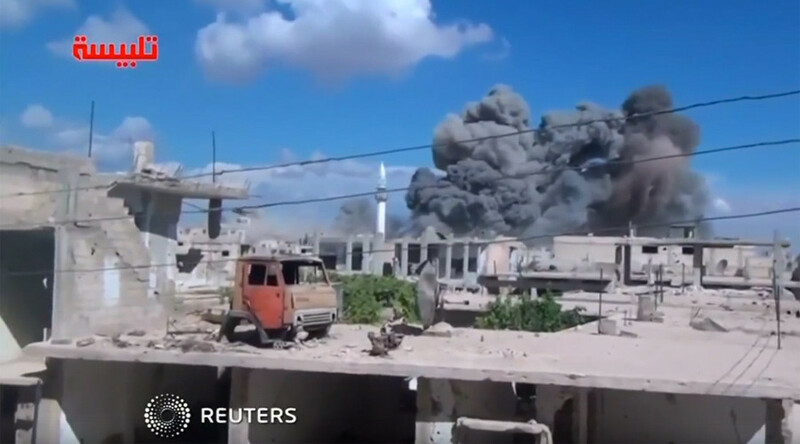 A number of videos allegedly showing the aftermath of Russian bombings in Syria has surfaced online. A popular opposition YouTube channel called “talbisa h” that is posting war footage from Syria released some 30 videos shot at various locations, claiming that some of them showed the results of Russia’s actions. Major Western news outlets such as CNN, Euronews and agencies like Reuters aired the videos even though they said they couldn’t verify their veracity. “The problem is that everyone is very ideological when it comes to the Syrian campaign. That distorts their reporting,” Max Abrahams, assistant professor at Northeastern University, told RT. Moscow believes there is an orchestrated campaign to undermine its position in the Syrian conflict. “Biased and false reports have flooded Western and regional media claiming the Russian military operation is causing civilian deaths or even is aimed against pro-democratic forces and the peaceful population. That is an information attack, the information warfare that we all have heard so much about. Apparently someone came well-prepared for it,” Mariya Zakharova, spokesperson for the Russian Foreign Ministry, said. Russia has had its share of accusations in the past that were later proven false. In 2008, when Georgia launched an attack on South Ossetia, killing Russian peacekeepers and provoking a military response from Moscow, Tbilisi went on a media offensive to portray itself as a victim of Russian aggression. The allegations were taken at face value by Western media for days. In the past year, Russia has been repeatedly accused of invading Ukraine by officials in Kiev and some of its sponsors. Again, photos from social media were presented as evidence of the alleged invasion and even endorsed by American officials and media. Occasionally, this resulted in major humiliation, when the photos were later exposed as fakes.